Nasty weather rolled in here this afternoon causing us to cancel our charters that were scheduled. A brief but strong frontal system swept across the state bring some rain and wind. 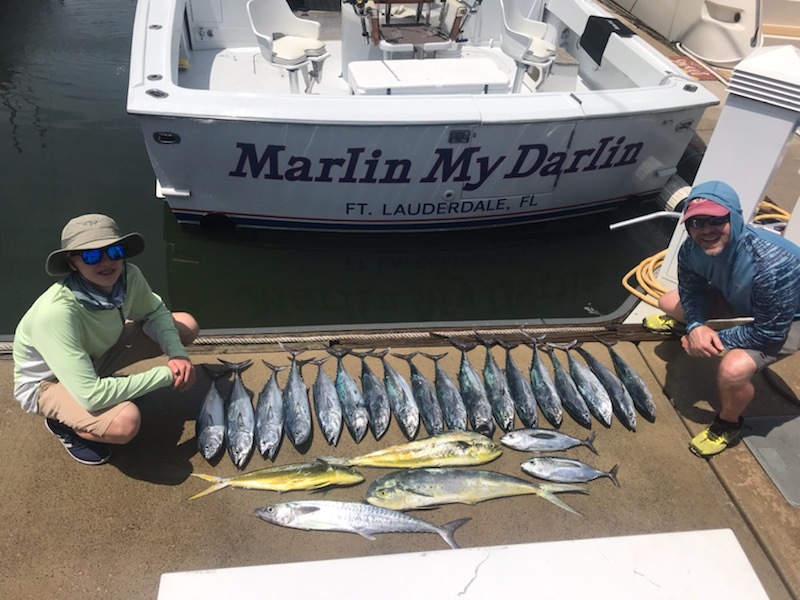 We were able to re-schedule one group but the other charter was lost to not only us but our anglers as well as they were visiting anglers from out of town and will to return home prior to our having any open dates. We often mention to visiting anglers to try to schedule their charter early in their visit so they have a decent chance to grab an open future date later in their stay if mother nature shuts us down. She got us today, but tomorrow is a new day with a good forecast, and our boats are booked. 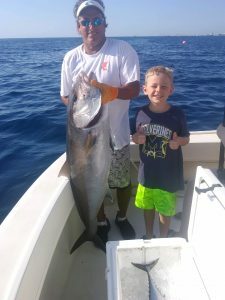 Some Kings biting on the reef and good numbers of False Albacore ( Bonito) are at times thick over those reefs. Some Blackfins in the mix and biting. There are MahiMahi offshore off the reef’s edge but they are erratic as the season ( which is now) for them is slow to show any continuity and reliable pattern. We continue to pick away at the Wahoo. 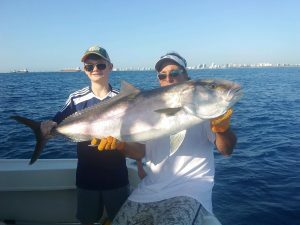 Big Greater Amberjacks are getting more prevalent on the wrecks and deep water structure and they are right on schedule, and will continue to be more numerous in the coming weeks. Big Sharks coming through now with large Hammerheads primarily in water from 300 to 400 feet of depth having the most activity. Catch and release, enjoy the large fish and let her go ( Chances are if a large one it’s a she), as they are now a strictly protected species now off of Florida. Another good Bull Shark for us too since our last report. Catch and release there as well. 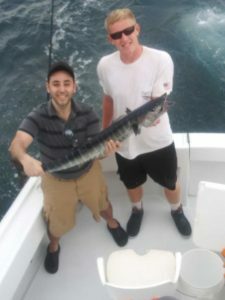 A couple of Sailfish and we caught and released them too. Golden Tiles available out in the deep water (Federal limit rules do apply), and they hit the ice for the ride home.